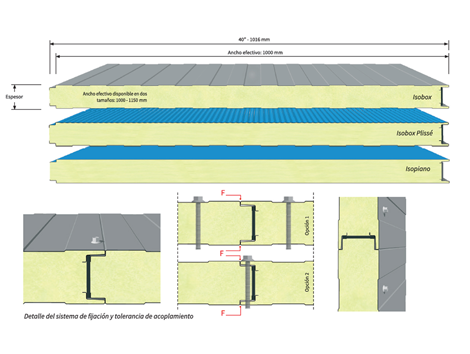 Is a sandwich panel used for walls of industrial facilities, modules and internal partitions. Suitable for refrigeration chambers. • Panel thickness: 1”1/4, 1”5/8, 2”, 2”1/2, 3”, 4”, 5”. • Available colors: Red brick, Blue gentiana, Gray white, Green pine, White pure, Gray silver.